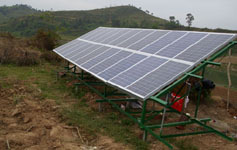 Project Name: AC solar pumping system for agriculture irrigation from river. 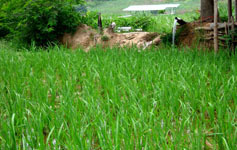 Project Introduction: It is technology oriented agriculture, eco-agriculture solar pumping irrigation system. 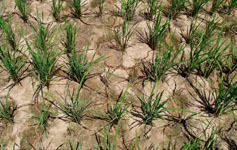 It solves agriculture irrigation problem. 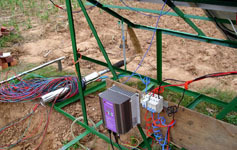 The system has run successfully since 1st, April, 2010.